I returned to the supermarket this evening and was accosted by the security guard at the front door. Issue? I had my backpack with me! I had to take it off and put it in a bag that he provided and then return the bag to him so he could lock it up! Funny stuff goes on in South America in an effort to prevent crime! 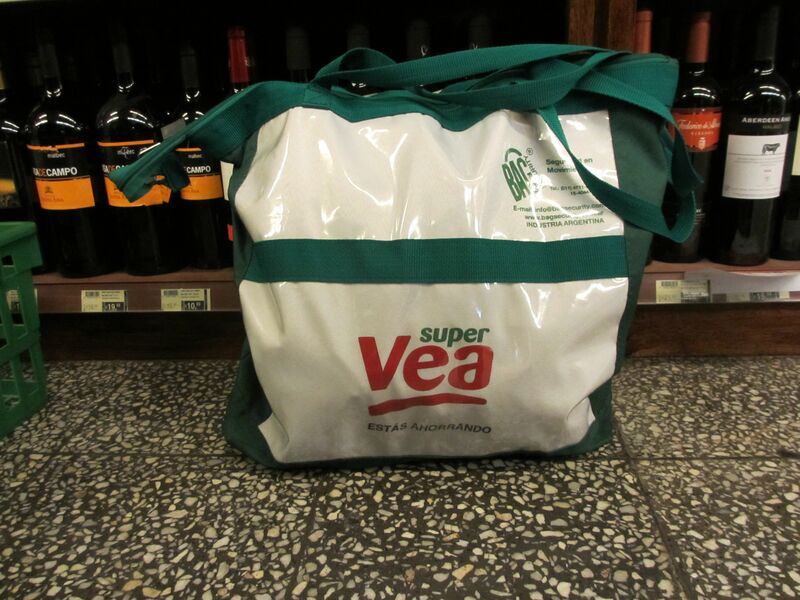 I moved around to the wine section to take this photo of what the bag looks like. This entry was posted in Salta & environs and tagged Salta. Bookmark the permalink.